It’s important to know your credit standing. Like fire, credit can be a valuable friend or a deadly foe. Used sensibly, credit can be a major asset in your business and personal life. Used carelessly, it can become your worst enemy. Take advantage of the free annual credit report. The credit report agencies are required by law to provide you with a free copy of your personal report, at your request, once every twelve months. 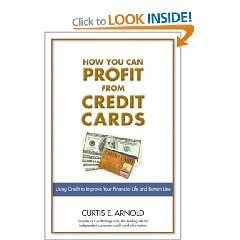 There are three major nationwide consumer credit record keeping and Credit Reporting Agencies (CRA) – Equifax, Experian and TransUnion. If you have ever applied for credit in any form, the three CRAs have compiled a detailed report about you and your credit history. If your credit history is good, it will be easier for you to get credit when you need it. If your credit score is considered bad, you may find it extremely difficult, almost impossible, to get credit from anyone. Higher credit scores usually mean lower rates on new loans, which may save you money. Also, fight identity theft by monitoring and reviewing your credit report. Review your Credit Report for potential inaccuracies or early signs of Identity Theft. 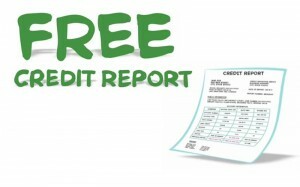 Each CRA, by law and at your request, will provide you with a totally free credit report once a year. You could request your report from one of the three every four months for absolutely no charge. That is, you can check your credit standing three times a year without any charge to you, every time from a different agency. Request the first report from one company, say Equifax, during the first four months of the year. Yet a third report from TransUnion during the last four months of the same year. You can repeat the process in the years to come, again and again. So three times in a year, you can know your credit score, absolutely free, no charge at all. AnnualCreditReport.com is a centralized service for consumers to request free annual credit reports. It was created by the three nationwide consumer credit reporting companies – Equifax, Experian and TransUnion. It offers consumers a fast and convenient way to request, view and print their credit reports in a secure Internet environment. They also provide options to request reports by telephone and by mail. AnnualCreditReport.com has three major components to it. See who has been checking your credit. Look for potential inaccuracies and unauthorized activity. They will closely monitor your Experian, Equifax and TransUnion Credit Reports every day, of course for a price. Higher scores usually mean lower interest rates on new loans, which could save you money. Equifax is a global leader in turning information into intelligence. For businesses, Equifax provides faster and easier ways to find, approve and market to the right customers. For consumers, Equifax offers easier instantaneous ways to buy products or services, and better insight into and management of their personal credit. Experian is a global leader in providing information solutions to organizations and consumers. It helps organizations find, develop and manage profitable customer relationships by providing information, decision-making solutions and processing services. It empowers consumers to understand, manage and protect their personal information and assets. TransUnion is a leading global information solutions company that customers trust as a business intelligence partner and commerce facilitator. TransUnion offers a broad range of financial products and services that enable customers to manage risk and capitalize on market opportunities. Go ahead get your free annual credit report today. It will do you good by knowing your credit score.